Tiny Road Test: Skoda Rapid 135RiC – HubNut – celebrating the average! I’ve always liked the rear-engined Skodas, but the one I bought back in 1998 turned out to be a bit of a dog. It put me off them for a while. Driving one for a friend’s wedding earlier this year was the first time I’d been in one for a goodly while. When said friend offered me the chance to spend a few days with his Rapid RiC, well I could hardly refuse could I? The RiC was the last of the line. 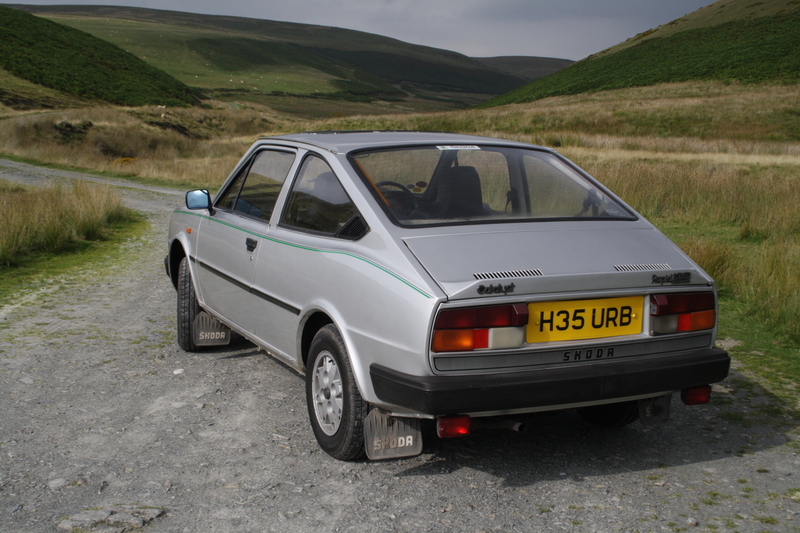 In fact, this car is the very last car off the line – H35 URB was first owned by Lord Strathcarron, who was a keen Skoda fan. It has a certificate stating it is the last rear-engined coupe built. 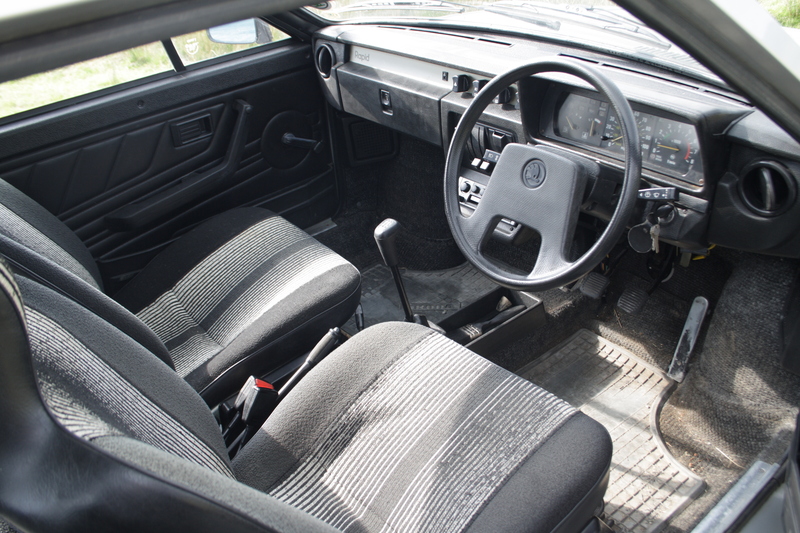 As saloon production ended before the Rapid (with the Favorit taking over), that seems to make it the last rear-engined Skoda built. That’s quite remarkable. I’ll start with a downside. I don’t actually like the Rapid’s shape. It looks all awkward from this front angle – the roofline just isn’t quite right. It does look better from the rear view, but I maintain that an Estelle is actually a better looking, better proportioned vehicle. However, you can’t see the outside when you’re inside, so I quickly hopped aboard. Here, the most striking thing is the wheelarch intrusion. It forces the pedals over almost as much as in a Citroen AX. Amusingly, the throttle pedal is an ‘organ pedal’ type. Adjusting to how the pedals behave takes a while – the middle one seems to do nothing at all for the first few inches of travel. The gearchange is amusing too. There’s no point looking at it to tell which gear you’re in as it cants well over to the left even when in fifth. The lever has a massive travel too. It reminded me of driving a Volvo B10M coach. I can see why folk fit quick-change gear levers. Get moving though, and it’s all rather jolly. 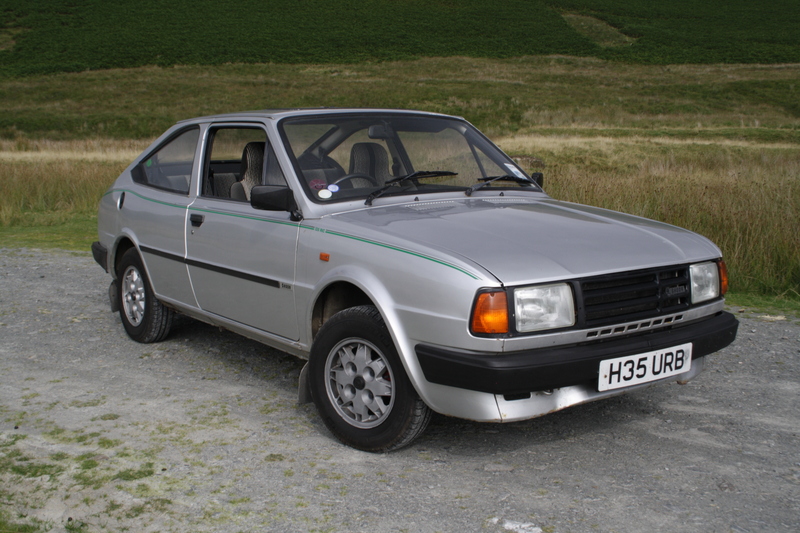 These later Skodas were very much better than earlier incarnations, with posh semi-trailing arm suspension calming down any sidewards tendencies. I found I could really hustle the thing along quickly. The steering is unassisted – it doesn’t need it with the engine at the back – and feels very good, if a little vague around the dead-ahead. The engine is fairly lusty too, despite having less than 60bhp. It’s enough power, but it does mean you need to try and carry speed in the bends, as it isn’t overly quick to regain lost momentum. I’m used to a Citroen 2CV, so this technique of basically not slowing down is second nature. I’m not used to doing it in a car with a rather iffy reputation for handling on the limit though. I needn’t have worried. It corners very securely indeed. In fact, you barely notice that the engine is slung out back at all. I did like it a lot overall. You can still feel those Communist vibes, but mixed with greater excitement from the post-communist Czechoslovakia that existed when this car was built. I mean, it has fuel injection! That really wasn’t very common in budget circles in 1990 – the year that Citroen finally stopped making 2CVs. Allied with electronic ignition, it makes it turn-key reliable hot or cold. So this is a reliable car too. It can do the boring stuff, but it’s still very different to drive. Very competent, but very characterful. Volkswagen may have secured Skoda’s future, but German ownership is yet to produce anything quite so interesting. Definitely its best angle. Sleek. I test drive a brand new rapid in 1990 with a view to trading my mk 1 fiesta, but after the test drive in the rain I was not impressed at all. The wipers on the fast setting were not quite as fast as my fiestas slow setting, and as I approached a roundabout the handling in the wet left a lot to be desired, oh and it misted up fast and I couldn’t get rid of the mist on the window as the fan stopped working, and this was a brand new delivery miles car. So I kept the fiesta, but my ex’s father had the Estelle and then the favorit the favorit has a habit of loosing all power to the electrics apart from the engine a common fuse box problem at the time. Handling in the wet is always going to be very different in a rear-engined car. I’d like to have a play in one in the wet, but perhaps not one this important!